In terms of annual sunshine hours Tirana beats even Spain’s tourism capital Barcelona. The Albanian capital of Tirana is ranked in the top ten list of the sunniest places in Europe with a total of 2,544 hours of sun. The list includes capitals and cities with a metropolitan population of over one million people. 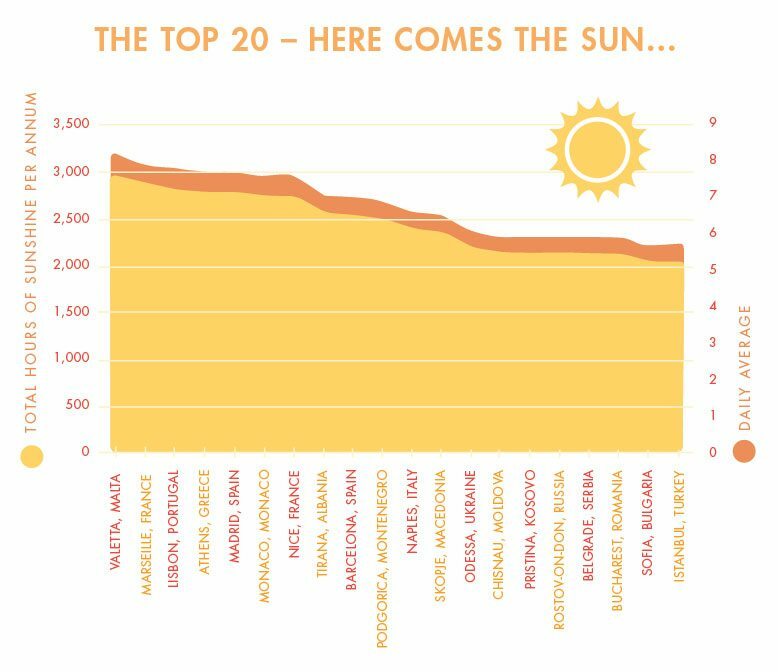 According to the list drafted by currentresults.com, the sunniest place in Europe is the capital of Malta, Valletta with 2.957 hours of sunshine. Southern Europe and Southern France bask in sunny climates and attract a lot of visitors or even new inhabitants from Northern Europe. The sunniest city in this part of the continent is Stockholm with 1,821 hours of sun per year. According to WorldFirst, the UK has one of the highest expat rates in the world and one of the main reasons that so many people leave these shores to setup home overseas is simple, the weather. Almost all the top ten cities enjoy an average of seven hours of sun per day. The list includes 60 European cities from all its regions. The ratings are based on average hours of sunshine annually. You can find the complete list here.